Built in 1894 the Ernestina-Morrissey is a National Historic Landmark Vessel and the Official Vessel of the Commonwealth of Massachusetts. 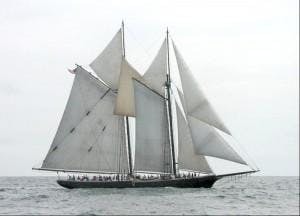 Built in 1921, the schooner Bowdoin is the official vessel of the state of Maine and the flagship of Maine Maritime Academy. Both vessels are currently undergoing restoration work at Boothbay Harbor Shipyard; join us to tour the vessels and the yard. Participants will meet at the Boothbay Harbor Shipyard.